What work attitudes do you bring with you into a new phase of your life? Now that you are starting in the working world, what attitudes work best for someone in their first job? There aren’t really any rules to work attitudes that would work best. But there are guidelines you can follow. It is normal to feel nervous on your fist day or even the first few weeks at work. Approach it with confidence and always be mindful of these attitudes. They will serve you well as you start to consciously practice them at work. They will make you more confident. As you become more confident you learn better and perform better. So, what are the attitudes at work you should possess as you start your first job? This is the first of the few attitudes I recommend you adopt as you start on your fist job. A sense of purpose could mean having a personal vision of where you want to be in a few years time. Or how this work will contribute towards your long-term goal. A sense of purpose can also mean knowing your role in the organization. Remember, no matter how low ranking you are or how fresh you are at work, we all have a role to play. Know that part and play it well. That way you contribute even early on and it helps you gain confidence. Have optimism as part of your work attitudes. I know some people are more prone to pessimism. I always say this; it takes an equal amount (if not more) of energy to be pessimistic, then why not choose the better option of being optimistic? Work this into your repertoire of work attitudes. There is positive energy in optimism. This energy propels you to do things as you feel there are better things to look towards. Imagine your personal motivation if you feel there is nothing good to look towards? Personally, I get into a lot debates with my colleagues when it comes to the topic of working hard as one of the most important attitudes at work. The debate is fairly predictable; inevitably it is always the argument of working smart is better than working hard. I am not against working smart but I caution you to use working smart as an excuse to NOT clock the hours necessary for success. Every success comes with hard work. Even if you have a smart plan, you need the capacity to take on the work necessary to work that smart plan. Working smart does not negate working hard. Carve this into your list of work attitudes that you bring with you into your fist job. Discipline to me is personal obedience. You are a working adult now and it means being professional in the things you do. You need to conduct yourself with the highest of professional standards. It should be part of your personal work attitudes. Have the discipline to see your work through no matter how tough it is for you. So what does this mean? It means do the things that need to be done on time. No one appreciates tardiness. Deliver on your promises be it to colleagues, clients or suppliers. Be thorough with your work, check and double check your work if you have time. Taking initiatives should be part of your work attitudes. Just because you are new doesn’t mean you cannot do extra or take that extra step to make some things better. Initiatives can come in many forms; it can be as simple as a suggestion to improve on certain processes. Someone with initiatives shows enthusiasm. Enthusiasm doesn’t just motivate you but it motivates those around you as well. People start to like you when you are enthusiastic. These work attitudes do not just serve you well in your first job. If you practice these, you will internalize them. 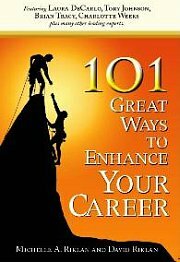 Soon you will see how they benefit your career in the long term. What work attitudes do you bring with you into a new phase of your life? Now that you are starting in the working world, what work attitudes work best for someone in their first job?